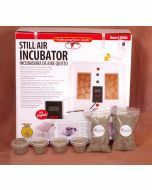 The IncubatorWarehouse.com's Reptile Hatching Medium is a bacteria/mold resistant soil that increases your hatch rates. 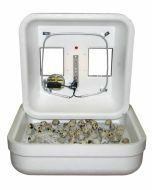 Avoid the dangers of mold and bacteria growing in your hatching medium. A must have for every reptile hatching enthusiast or hobbyist. A low cost alternative to HatchRite. 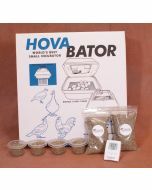 Low Cost, Better Hatch Rates! You would change the hatching medium every incubation. As long as the conditions are kept correct you should not have to change the medium during incubation.